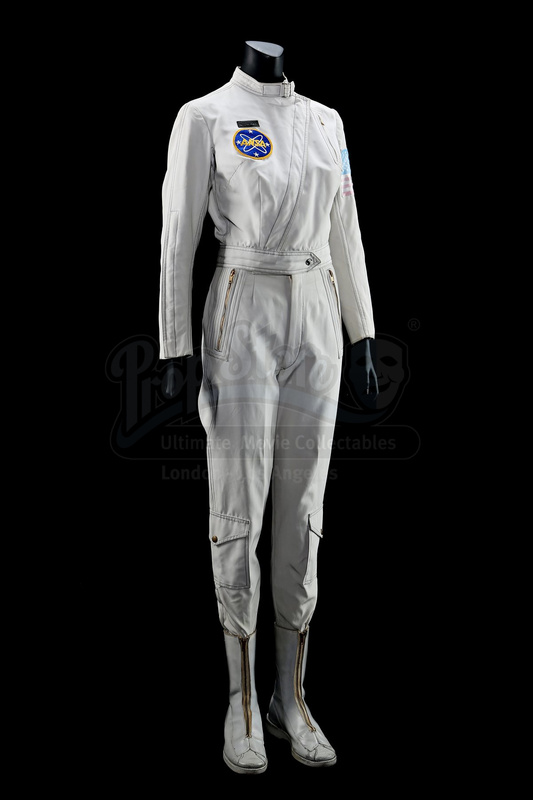 Lieutenant Stewart’s (Dianne Stanley) Liberty 1 flight suit from Franklin J. Schaffner’s sci-fi classic Planet of the Apes. 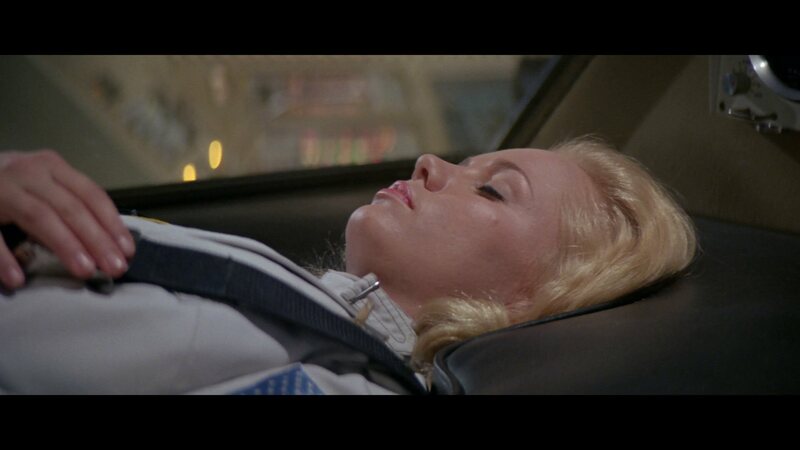 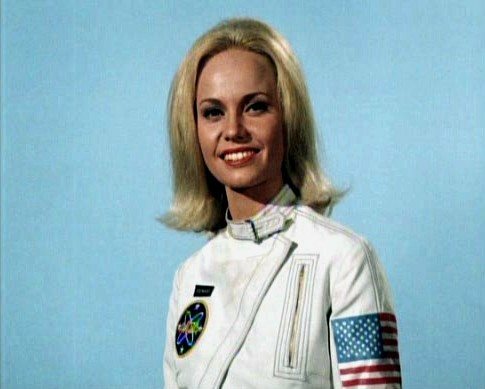 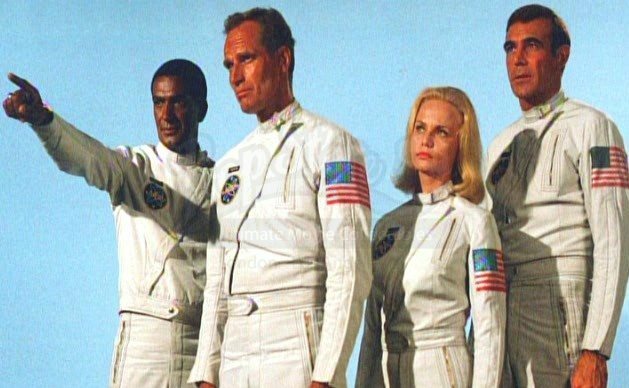 Lt. Stewart was the sole female astronaut aboard the doomed Liberty 1 expedition and was briefly seen alive at the start of the film while in cryosleep. 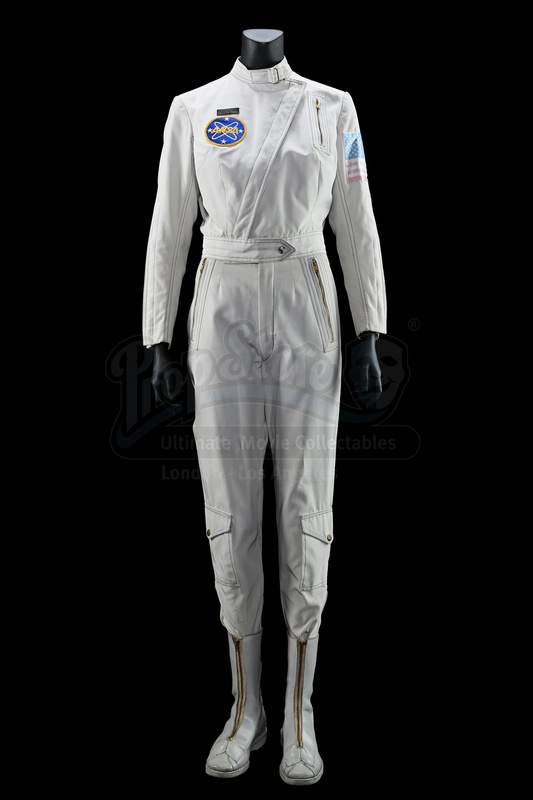 Upon crash-landing 2,000 years later, Lt. Stewart is discovered to be deceased, having succumbed to old age due to a malfunction in her sleep pod. 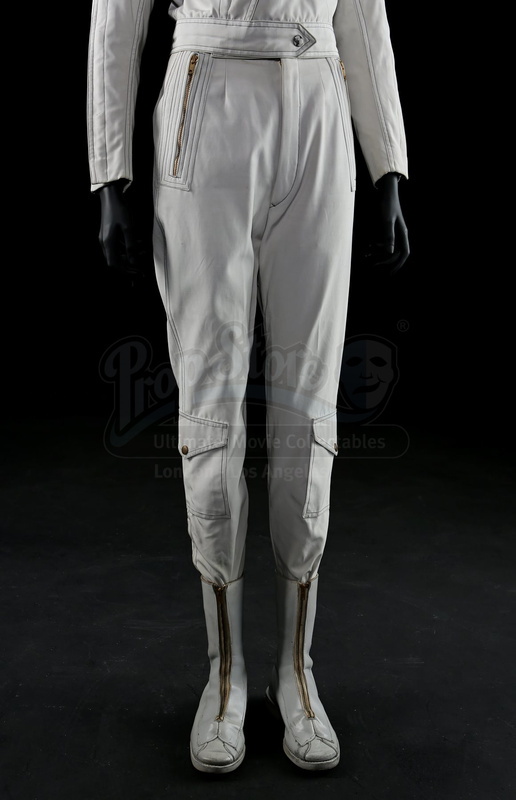 This costume was also worn for publicity photographs during production, and was likely reused in Beneath the Planet of the Apes, and the spinoff television series, each of which also featured Stewart. 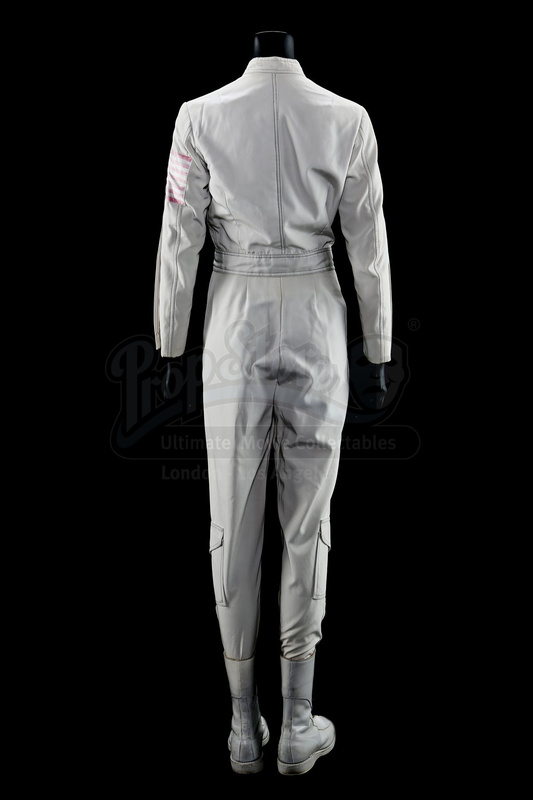 This costume includes Lt. Stewart’s ANSA flight jacket, trousers and a pair of boots. 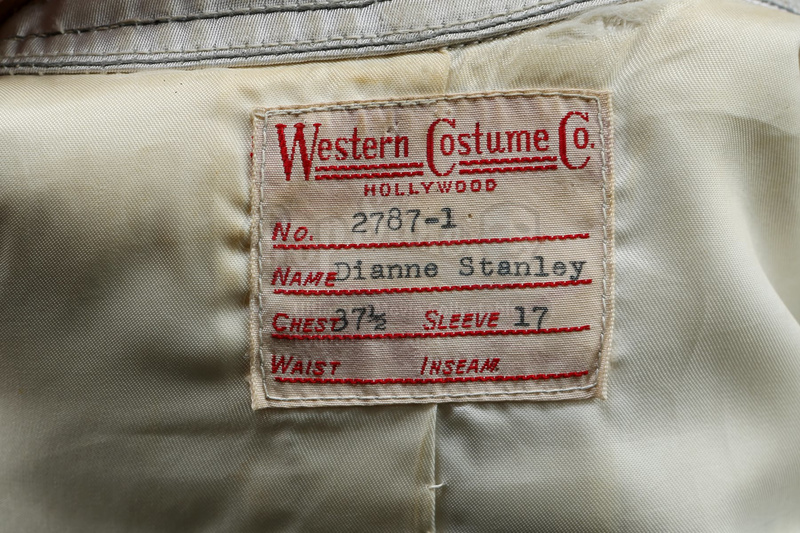 The jacket and trousers are made of nylon and polyester, and include Western Costume wardrobe labels stitched inside, each showing the name “Dianne Stanley”. 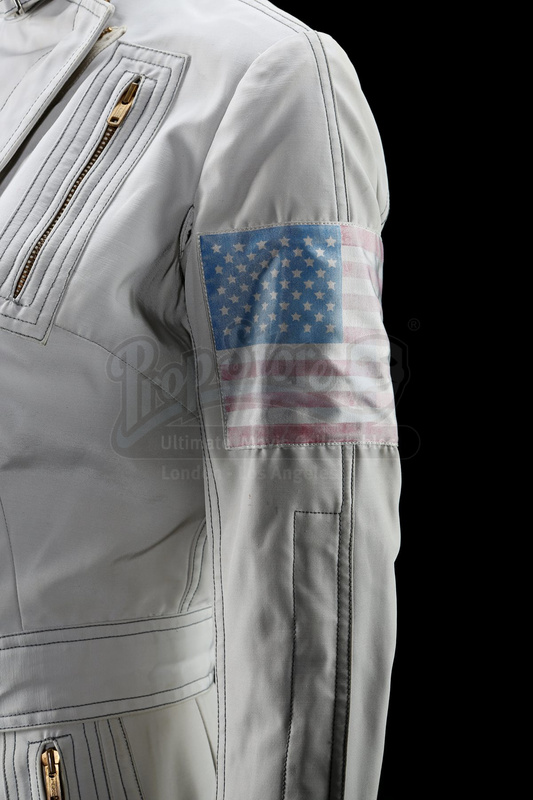 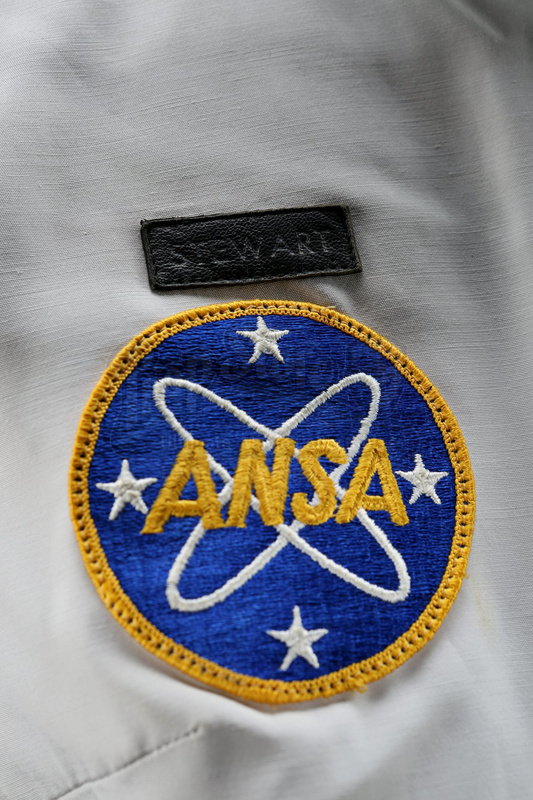 The double-breasted zip-up jacket features a leather nameplate that reads “Stewart”, an embroidered ANSA patch over the right breast and a patch of the American flag over the left arm. 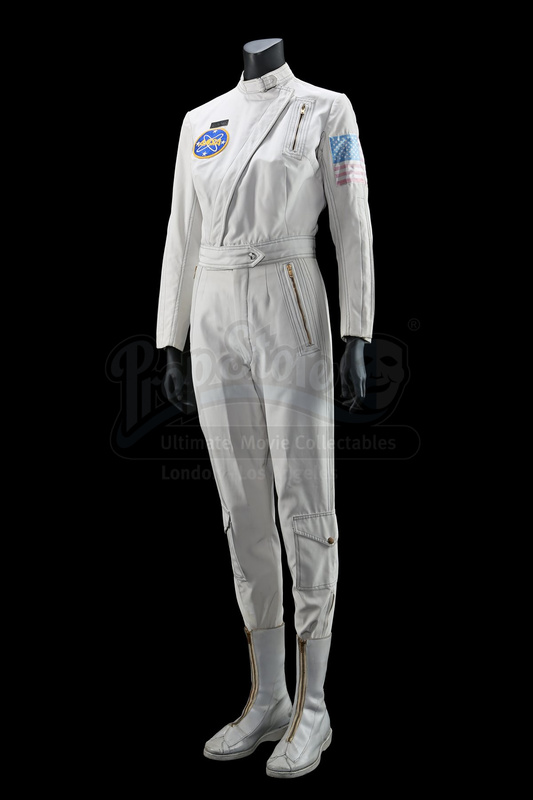 The boots are made of leather and zip up at the front. 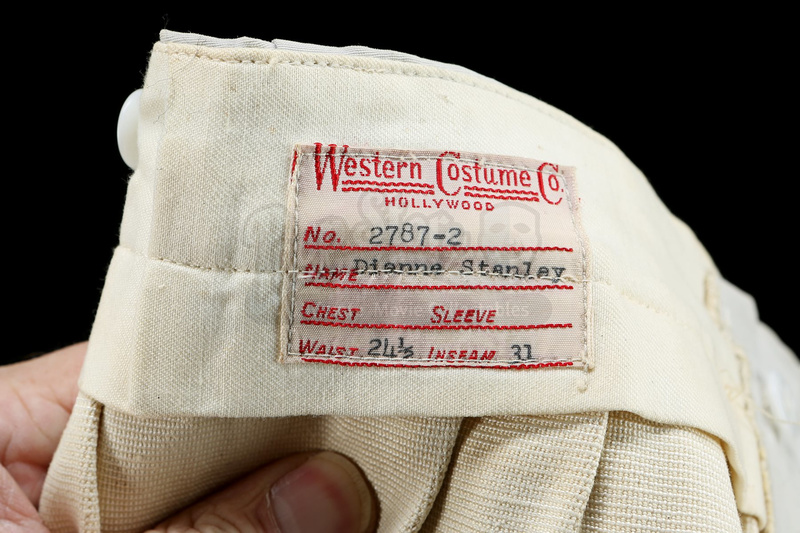 The costume shows minor wear due to production use, but remains in fine condition.